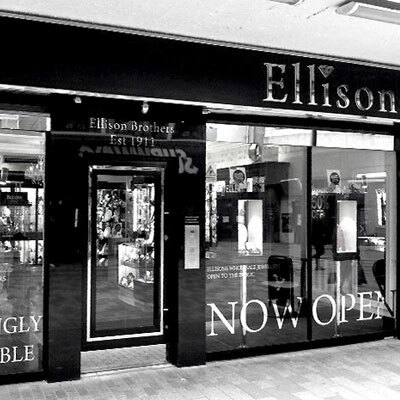 When Ellison Brothers (Wholesale Jewellers) first began in 1911, we sourced only the finest stones and precious metals from across the world, using only the best designers and craftsmen to create the most unique and finest quality jewellery pieces that could be found anywhere. This is a formula we have continued and it has helped Ellison Brothers to become renowned for their quality and value over the century. For the many years, everyone was made feel especially welcome at our previous showroom on Donegall Street, Belfast. We feel that our friendly service with a personal touch sets us apart from the very best of our competitors. Precious relationships have formed with our customers. We find that they return with confidence to be greeted with the same superior standard of service that they have become accustomed to over the years. We are both confident and excited in transferring each of these traditional values to our brand new premises, just off Fountain Street, Belfast. Our new showroom will reflect the new focus on you, the public and a shopping environment that makes you feel more than welcome. For our current customers, the new look will be accompanied by fresh new stock, including many ranges that you will not have seen anything like before. If you have yet to visit, we intend to greet you with a new shopping experience and invite you to be part of a long standing tradition with an exciting modern twist! Cahoons Wholesale Jewellers of Cookstown has now been in retail for almost 40 years and our customers come from near and far to view a wide range of inspirational jewellery, sourced from all over the world. We insist on changing our collections to represent change and current fashion, ensuring there is something different on offer each time our customer calls with us! What remains consistent, is the impeccably high quality stock and our continuously reviewed unbeatable pricing policy - The Wholesale price really does mean that you get the best deal possible, without sacrifice on quality. In an ever populated contemporary marketplace, we feel that our friendly service with a personal touch also sets us apart from the very best of our competitors. For those of you who have yet to call with us, everyone is made feel especially welcome at our showroom in Cookstown. We appreciate that you do not buy jewellery every day and understand that making the right decision takes time. We realise that half the fun is in the shopping, so feel free to come in and see what we could tempt you with! Upon unveiling Ellisons to the public with their recent move in location, the affiliation between these two family run businesses has become official. The core, traditional values of both Ellisons and Cahoons complement each other seamlessly and the fusion of their knowledge and experience has projected the mutual marketing message and even further improved our customer experience. 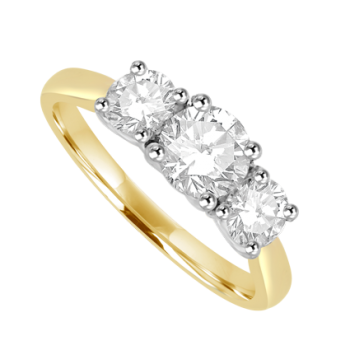 The amalgamation of the two notoriously impressive ranges in Diamond Rings and Diamond Jewellery has meant customers of Ellisons and Cahoons have a choice from one of the largest and most expansive selections in the country. With increased buying power we have been able to further reduce our costs on gemstones and precious metals via many long established relationships with suppliers near and far. This has allowed us to continue to price our goods using wholesale margins and allowing the public discounts of up to 50% on retail. In an ever increasingly competitive and globalised marketplace, the temptation is to lower quality as to offer seemingly better discounted goods. The public is guaranteed and our customers recognise that at Ellisons and Cahoons, they can be assured of locating the same finest quality gemstone and precious metals that they have been accustomed to for over the last combined 160 years of business. We appreciate the support from our customers over the years and are always excited to meet new visitors to our showrooms and welcome them into a long lasting reputation of quality and value that has moved with tradition into a modernised yet personable shopping experience. In either case we hope to hear from you soon to see all that we have to offer for real!